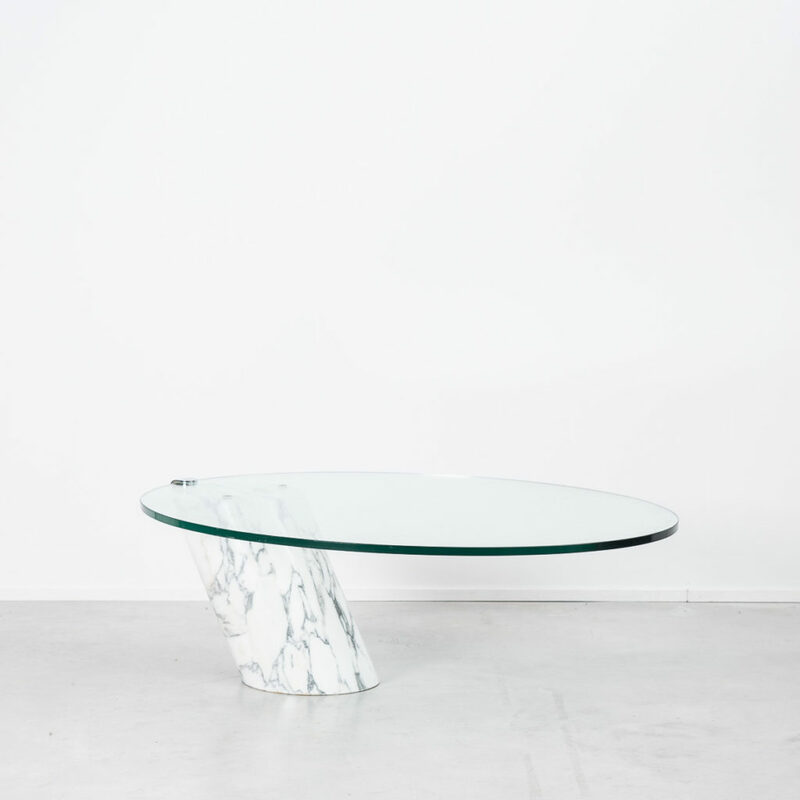 This remarkable cantilevered coffee table was designed by Frans Hero and Karl Odermatt for Swiss company Ronald Schmitt. 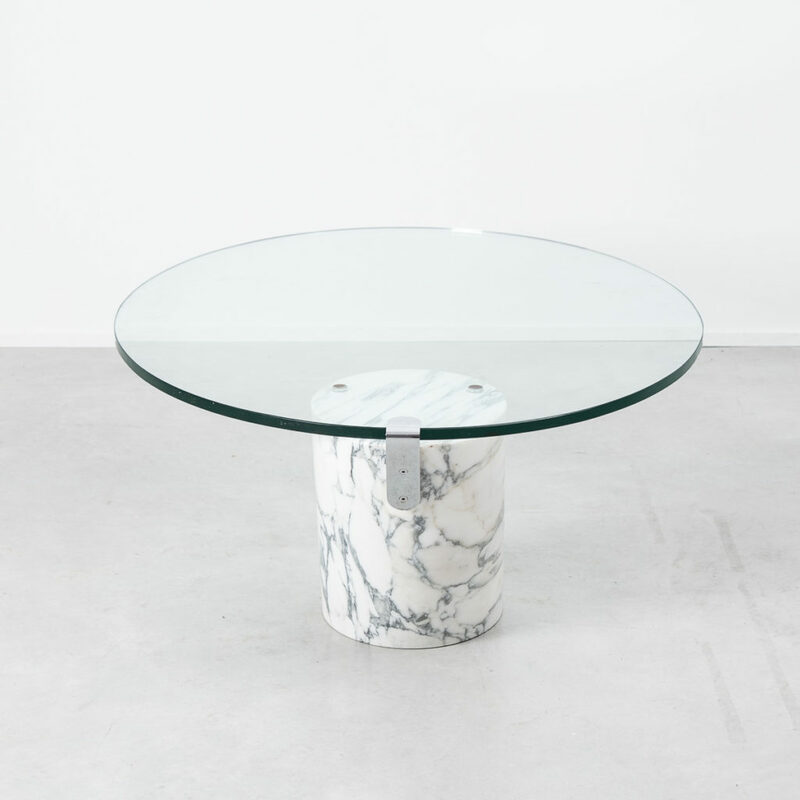 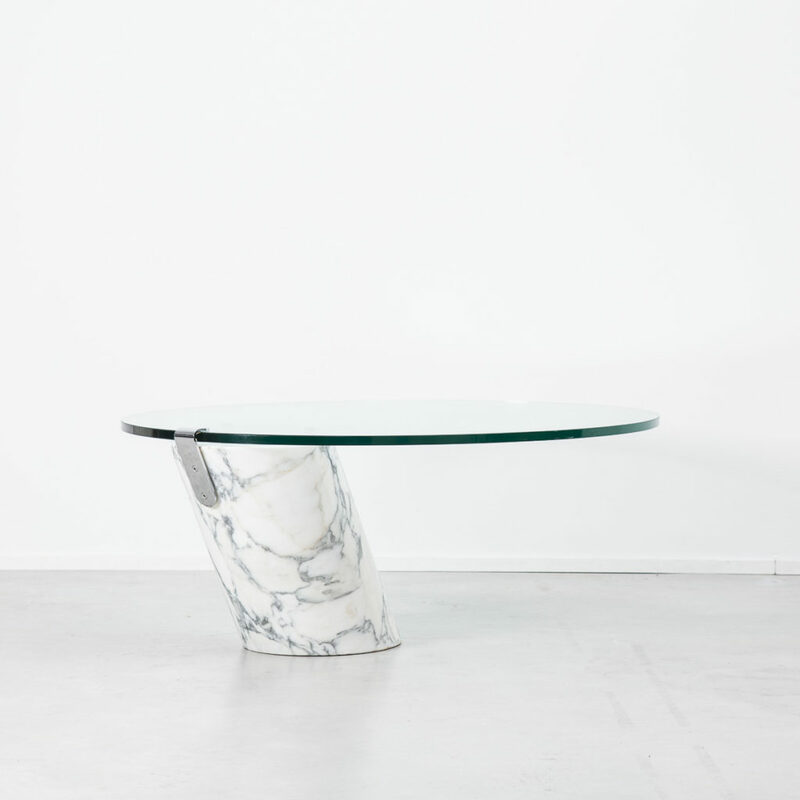 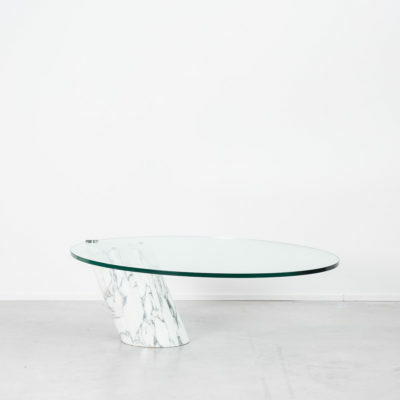 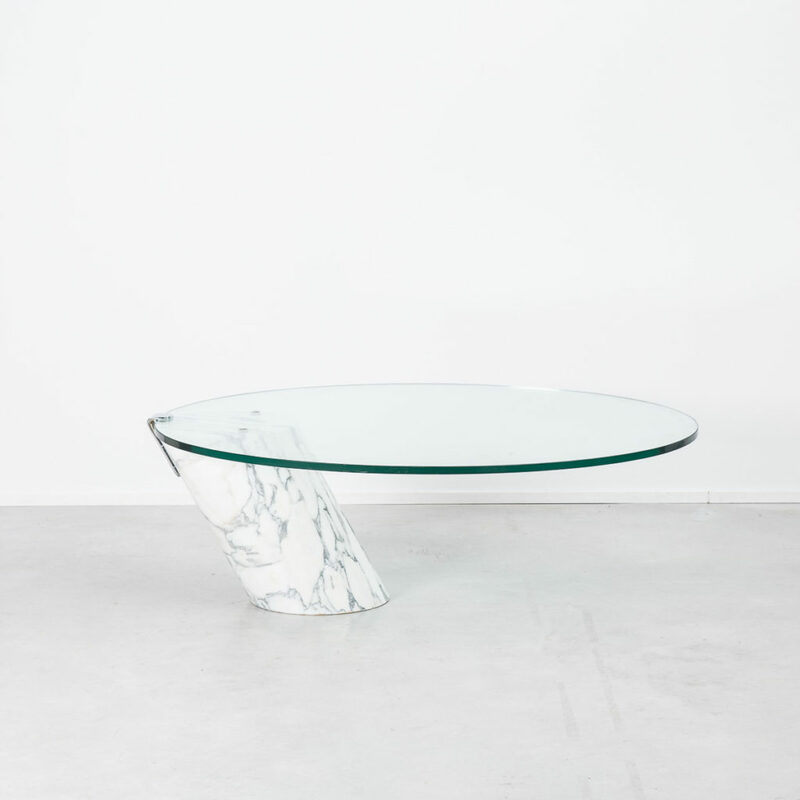 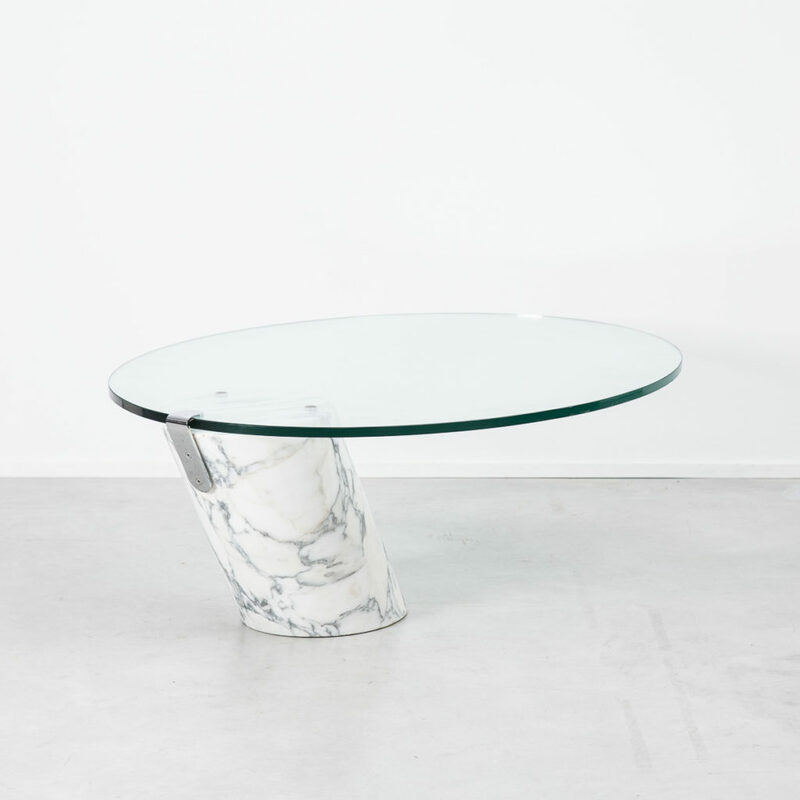 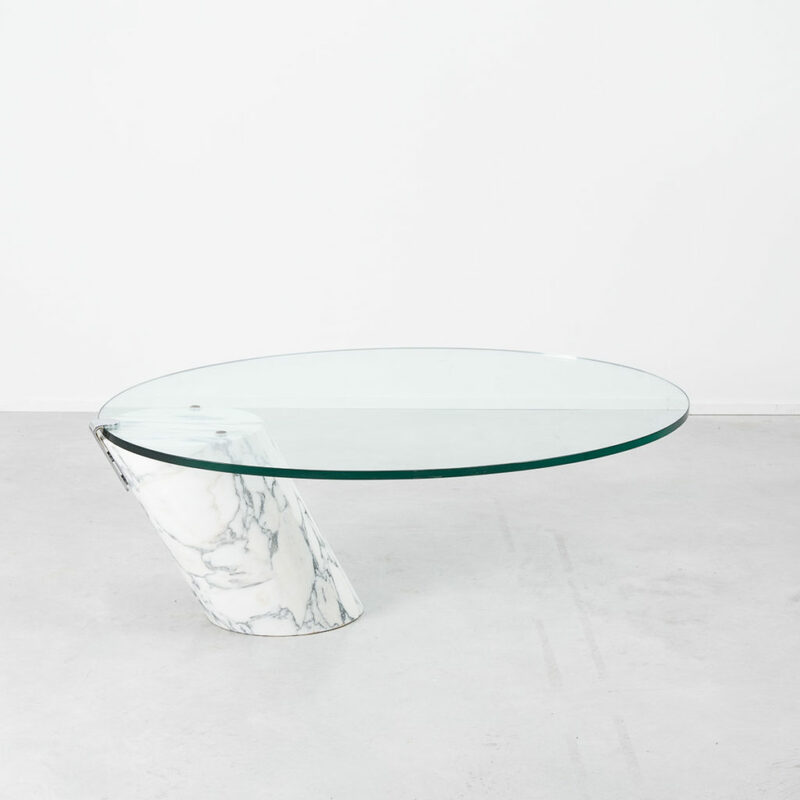 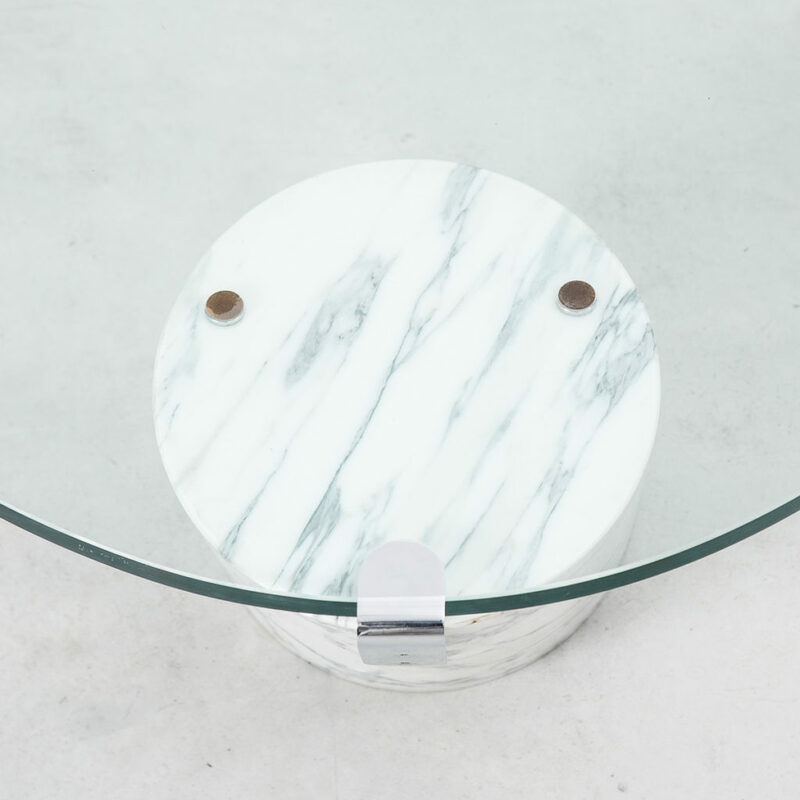 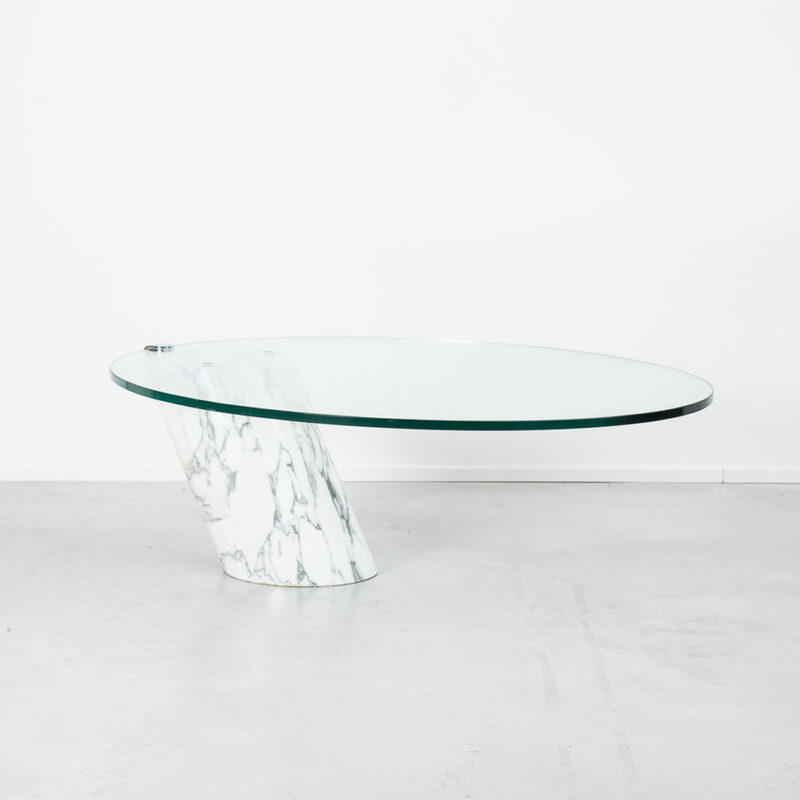 The thick glass top is fixed to the marble base by a single metal bracket giving it a gravity defying effect. 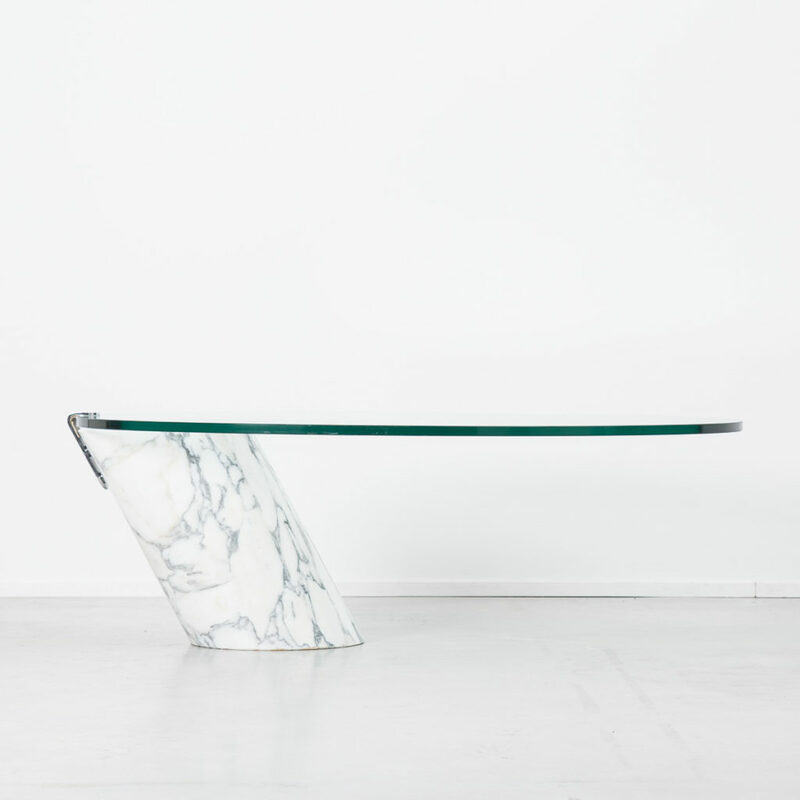 As you can imagine the table is really quite heavy which results in it being remarkably stable. 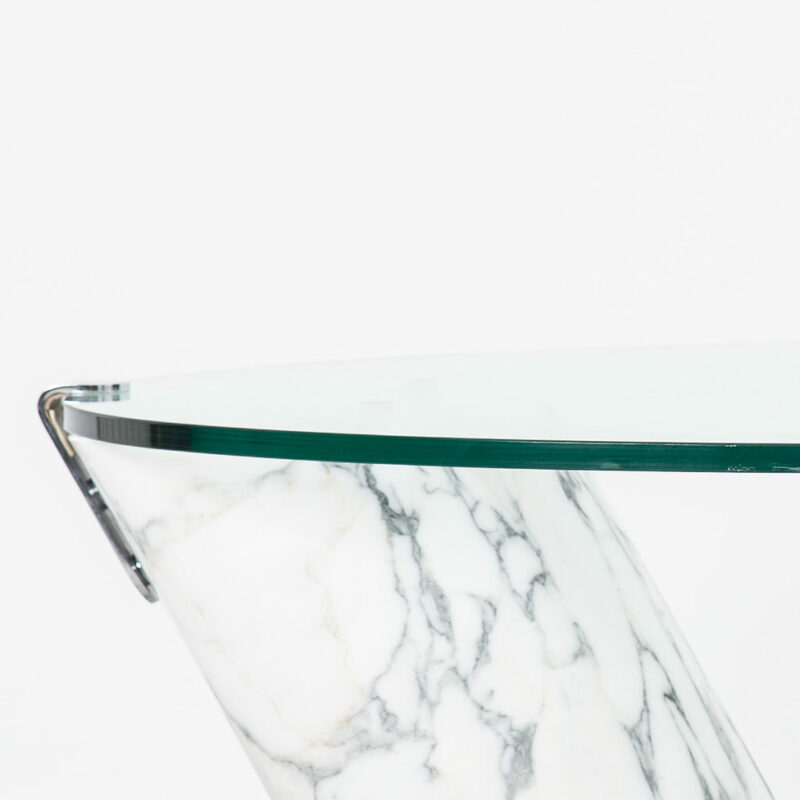 The table is in great condition with only light scratching to the top.